Unauthorized use and/or duplication of this material without express and written permission from this blog’s author and/or owner is strictly prohibited. 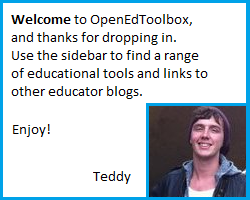 Excerpts and links may be used, provided that full and clear credit is given to Teddy Mercer and OpenEdToolbox with appropriate and specific direction to the original content. The owner will endeavour to acknowledge all sources which contribute to the formation of intellectual content on this blog, including all forms of media. In the instance that you feel your copyright protection has been infringed, please contact the blog owner via the home page to seek a resolution.